This document is intended for, and should only be read by, those persons to whom it is addressed. Its contents are confidential and if you have received this message in error, please inform the sender and delete all records of the message from your computer. Any form of reproduction, dissemination, copying, disclosure, modification, distribution and / or publication of this message without our prior written consent is strictly prohibited. Neither the author of this message nor their employers accept legal responsibility for the contents of the message and any views or opinions presented are solely those of the author. 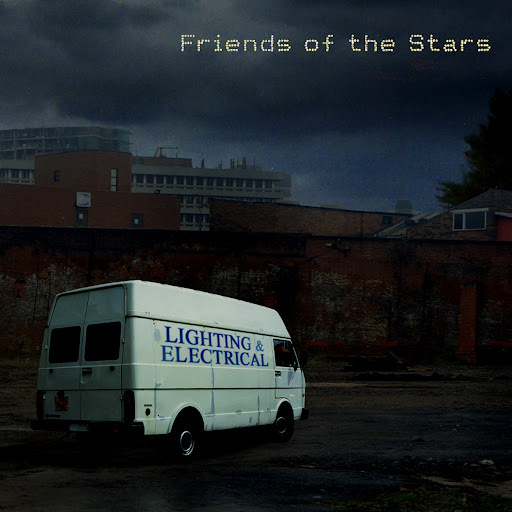 Here is the front cover of the soon-to-be released album “Lighting and Electrical”. The artwork was designed by long time friend of the band Olivia Mole. Over the years, Olivia has offered support and encouragement to our dysfunctional musical unit and, before leaving the UK, was often to be found at our London shows. We were really happy when she agreed to handle the artwork for us. She’s a talented lady, and as you’ll see in due course, really good at drawing and colouring in. That said, she made us all feel really stupid when she emailed us the details of her motives and thoughts in choosing this subject as her inspiration. Frankly, it was way too clever for us. Anyway, she now lives in sunny Los Angeles, California and based her designs and ideas around the concept of ‘Ball Lightning‘. As part of her research into the subject she befriended (via the interweb) a Bulgarian scientist by the name of Dr Kiril Chukanov. Dr Chukanov has devoted his considerable brain power to designing and building machines that create your actual Ball Lightning under laboratory conditions. Some of his machines also feature in the CD artwork. Naturally, our big, big thanks also go to Olivia. Several copies of the record will also be on the way to California. The rest of you will just have to steal it from Russian websites buy it. can out-run a speeding bullet yet move so slowly you think it’s a thing of some kind that doesn’t move at all. ‘go to the balcony and look down on what happened’. My role as ‘Executive Producer’ has been varied over the ‘three weeks’ that “Lighting and Electrical” has been in the making. Often I would contribute nothing more than drunkenly shouting, ‘I like those guitars’ or ‘he’s got a nice voice/ arse’ or even ‘Where the FECK! are the rizlas!? If I have to ask ONE MORE TIME I am going to take your shiny new microphone and chuck it in the bleedin’ road!’. Once, in the spirit creativity, I ‘fell asleep’ in the Spotted Dog public house and was ‘asked’ to leave. On other occasions I have been involved in the very cauldron of musical creation, (‘don’t fade it out, dude, stop it dead in it’s tracks…’ ) and having no comments what so ever on the drumming on track four. We even recorded some hilarious podcast gold that may one day see the light of day. I would listen to demo tapes (they aren’t really demo tapes any more, its all memory cards and floppy disks and blank CDS, but you get what I mean) and make noises to indicate my like/dislike or general confusion. Please note, I am not suggesting for one minute that anyone was listening. rained the whole time we were there. I have watched The ‘Stars play in many a dark and smelly room. I have also prevented Craigy from dieing on no less than 17 occasions. We now come to the very breaking point of the wave that is “Lighting and Electrical”. I have had a copy of it for ages (I am SO cool), and as requested I haven’t put it on the Internet…probably. Time means nothing, we can smell the trees, listen to the album…. Here were are playing “Riverdigger” at the Moseley Folk Festival in September 2006.